Fruit development of a fig tree has been put in motion before the winter period. 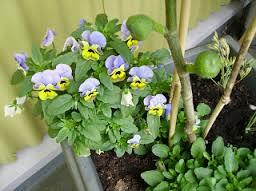 They are shown as small buttons at the top of the plants. These little figs unfortunately can already freeze at temperatures below -7 degrees. The first figs will appear until late summer (usually the second crop). However, the survival rate of the ‘minifigs’ can be increased by protecting them against the cold. This can be done in different ways, for example by pulling socks over them (it must be breathable material) or by removing the plants temporarily in an unheated garage, shed or greenhouse. To slip a fig tree is pretty easy. One can do this by putting one-year or two-year branches for several days in a glass of water. The length of the twigs do have to be approximately 10 inches. As soon as the roots are there, the twigs can be placed in the soil (preferably Mediterranean ground). The soil can best be mixed with 1/3 clay. Maintain a constant temperature of about 20 degrees Celsius.